As a fairly frequent visitor to Denver — and by now a good friend of many Jews here — Shmuel Rifman can always be counted on to share with his Colorado hosts any number of interesting ideas. Not surprisingly, the ideas almost always relate to Ramat Hanegev, the largest political region in Israel, of which Rifman has served as chairman for the past quarter century and which has had, for 16 of those years, a special partnership with the Colorado Jewish community through JEWISHcolorado and its predecessor, the Allied Jewish Federation. Although many confer on Rifman the American-style title of “mayor,” he is actually closer to what Americans might call a county commissioner, the top elected official in a region in the northern Negev Desert (often called the Negev Highlands), which constitutes more than 20% of Israel’s land mass but whose population of 5,000 is but a tiny fraction of the nation’s total. Only a 90-minute drive from Israel’s population center of Tel Aviv, Ramat Hanegev seems like it might be in another country entirely. It is a region of widely scattered kibbutzim, moshavim and other alternative Jewish communities, as well as a small population of Bedouin, Israeli Arabs who are the descendants of the region’s historical nomadic tribes. 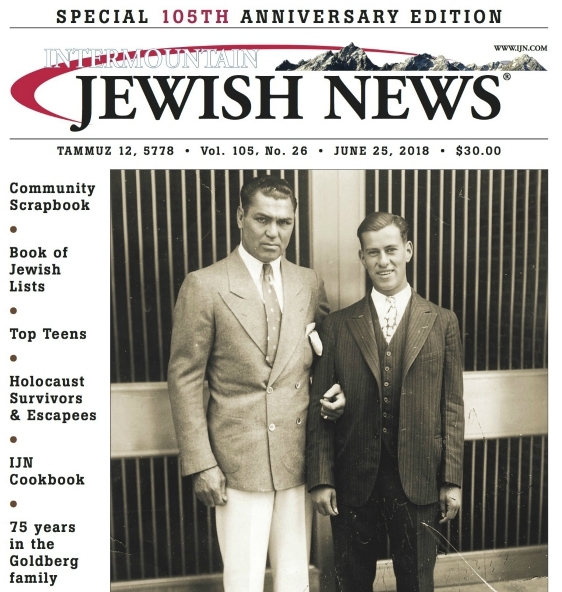 Most of the Jews who live there, Rifman told the Intermountain Jewish News in an interview last week, would be happy to trade their region’s remoteness for more people, more jobs and more opportunities. He adds that most of the Bedouin Arabs who reside in the region — some 250 families, or 1,000 individuals — would be happy to trade the state of official limbo in which they currently exist for something that resembles permanence. Before addressing such weighty issues in an interview ably translated by Janet Sherman, director of the Jewish Community Relations Council and Israel Engagement — both functions of JEWISHcolorado — Rifman was anxious to let Colorado Jews know about an idea that will affect them directly. In line with his longstanding commitment to forge a “connection between Jewish people in Colorado and Jewish people in Israel,” the mayor feels both communities are ready for a year-long exchange program involving youths. He refers specifically to those young men and women who have just finished high school and are in that intermediate year between high school and college, or, in the case of the Israeli youths, the year between high school and military service. In Israel, Rifman explains, that year is often referred to as mechina, and is traditionally spent as a year of travel and relaxation coupled with courses and instruction that help youths prepare for their upcoming service in the IDF. Rifman foresees groups of Ramat Hanegev and Colorado youths spending that year together. The ultimate goal, Rifman says, “is to create Jewish leaders, and by Jewish leaders I don’t mean mayors like me. The prospective program is not even in the blueprint stage yet, Rifman and Sherman say, with most details, including its name, when it will start, how much it will cost and its eventual parameters, still to be worked out. One thing that is assured, Sherman says, is that JEWISHcolorado is already supportive of the idea and plans to join Ramat Hanegev in funding it once it comes to fruition. She says that JEWISHcolorado’s experience with such programs as the Israel Study Tour, the DJDS Hebrew immersion program and the Building Living Bridges program has convinced the organization that such international exchange programs are wise investments. It also fits in perfectly with JEWISHcolorado’s sister city-style relationship with Ramat Hanegev. The Colorado organization has already supported, in money and people, a center for people with special needs, programs to encourage women to become entrepreneurs and economic development projects in Ramat Hanegev. Rifman is currently exploring funding sources for the youth exchange program and says he expects Israel’s national government to provide considerable support. He expresses optimism that the program will prove successful. Sherman, in turn, is fully supportive of Ramat Hanegev’s energetic and innovative mayor. Rifman’s plans for his region’s Bedouin community, meanwhile, have already progressed well beyond the dreaming stage. While Ramat Hanegev’s population of some 1,000 Bedouins is a small portion of the more than 300,000 Bedouin who live in the Negev as a whole, he has long been determined to improve conditions for a community that he considers a vital part of his region. In Ramat Hanegev, the Bedouins live in four communities which, although they are geographical realities, are not recognized as official villages by the Israeli government — a problem currently vexing dozens of similar Bedouin communities in Israel, which has so far eluded effective national solutions. The lack of recognition has placed Bedouins in a state of official limbo. 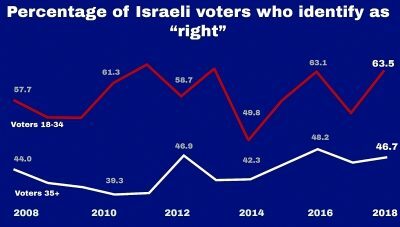 Although recognized as Israeli citizens, they are not counted as citizens of the Ramat Hanegev region, which means that they are not entitled to vote in regional elections or to receive any number of crucial government services. The provision of such basic needs as water, sewage, electricity, roads, transportation, sanitation and adequate education can best be achieved, in Rifman’s opinion, by formally recognizing the four Bedouin communities in Ramat Hanegev. Rifman says he has been working for years to gain the trust of the Bedouin leadership and community, as well as the region’s Jews, and he says he has finally attained it. A recent survey about whether to pursue official recognition for the Bedouin communities gained 60% approval of the region’s residents overall. At this point, he believes, the only resistance to recognition is likely to come from the national government, not necessarily because it opposes it but because of bureaucratic confusion. Israel’s central agency for Bedouin matters — the Bedouin Authority — is a political football that is frequently kicked from one ministry to another, resulting in frequent setbacks, delays and repetitions. Overcoming such official entrenchment won’t be easy, Rifman concedes. He believes that Ramat Hanegev could serve as a model for other Israeli communities grappling with Bedouin-related issues. He calls it a “pioneer idea,” emphasizing local over national leadership. Bringing Ramat Hanegev’s Bedouin communities to official recognition — and being able to provide badly needed government services — would be the crown jewel of the region’s sustained efforts to bring its Bedouin population up to 21st-century living standards. JEWISHcolorado is helping the region fund a program for young Bedouin men — described by Rifman as “an incubator for building Bedouin leadership” — in the Nitzana community near the Egyptian border, encouraging the development of a strong communal leadership structure. Ramat Hanegev has also recently opened a boarding school for Bedouin youths of high school age, beginning with ninth graders with the goal of adding additional grades each year. Sherman says that these are examples of the region’s “very amazing and exciting programs” for Bedouins which Colorado Jews have found worthy of their financial support. While American mayors and county commissioners might find such social projects exotic, they would be more than familiar other aspects of Rifman’s job, such as economic development. While the Negev is, by Israeli standards, a large region, it still suffers from a population deficit. Like in Israel’s northern Galilee, community leaders in the Negev are thinking long and hard about how to attract people to move there. Rifman is convinced that the answer is jobs. In that pursuit, he is looking to nothing less than the sun as an ally. Last year, after planning and environmental impact studies, two private firms — Negev Energy and Megalim (a joint venture between Bright Source and General Electric) — expressed their intent to build solar farms in Ramat Hanegev. “They want to invest private money to build two solar stations that together would produce 300 megawatts,” Rifman says. One of the farms will cover some 8,000 dunams (nearly 2,000 acres); the other will cover 12,000 dunams (nearly 3,000 acres). Construction has already begun on the solar farms, both of which are slated to be up and running in 2017. The electricity they produce will be sold to Israel’s national energy grid. The construction phase is providing some 2,000 jobs. Once operational, the farms will create 100 permanent jobs each, roughly one-third of which will be set aside for local Bedouin workers under the terms drafted in the contracts. These are huge numbers by Ramat Hanegev’s standards, Rifman says. “This is the largest solar project of its kind in the state of Israel,” says Sherman. Rifman hopes the new solar development represents only the beginning of an exciting new era for the region. “There is a phrase that the bees are drawn to the hive,” he says, explaining that these solar projects could open a significant door for energy development in the Negev, including Ramat Hanegev. If there is anything besides sand that the Negev has lots of, he points out, it’s lots of land and lots of sunshine. Chris Leppek may be reached at IJNEWS@aol.com.